Key patterns to try on any river or stream. All of these will tempt trout as well but grayling do have a soft spot for red and pink so plenty of hot spots in evidence. 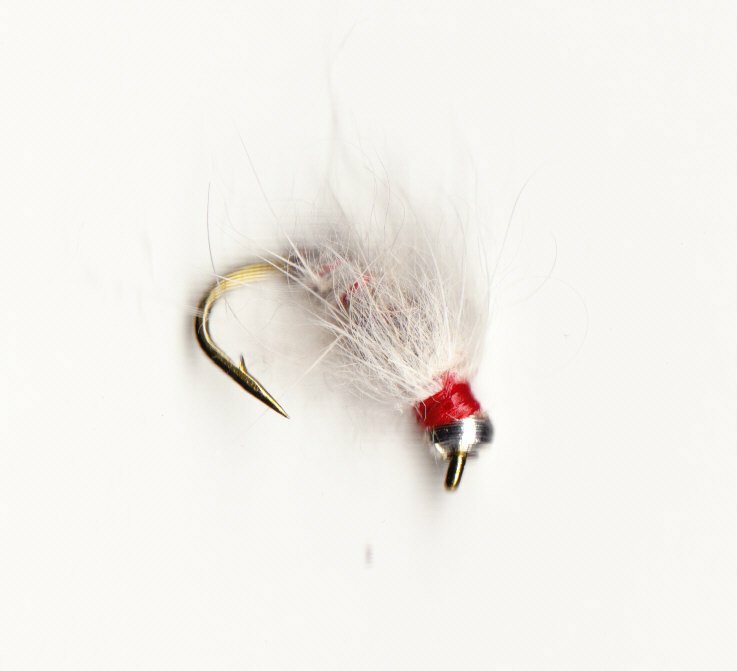 Fish in teams of two or three or as single flies, some strike indicator patterns included and foam indicators as well. Two styles tied, fast water and slow glide patterns. A general rule - the larger patterns are best in fast water with smaller tyings for pools and glides. A straggly version of the original which brings ther most reluctant fish up. The #12 is a pretty big fly. Deer and CDC combine to make a visable pattern in all water and light conditions, gink this and it floats like a cork. Supplied in a mix of natural dun colours, olives & browns. 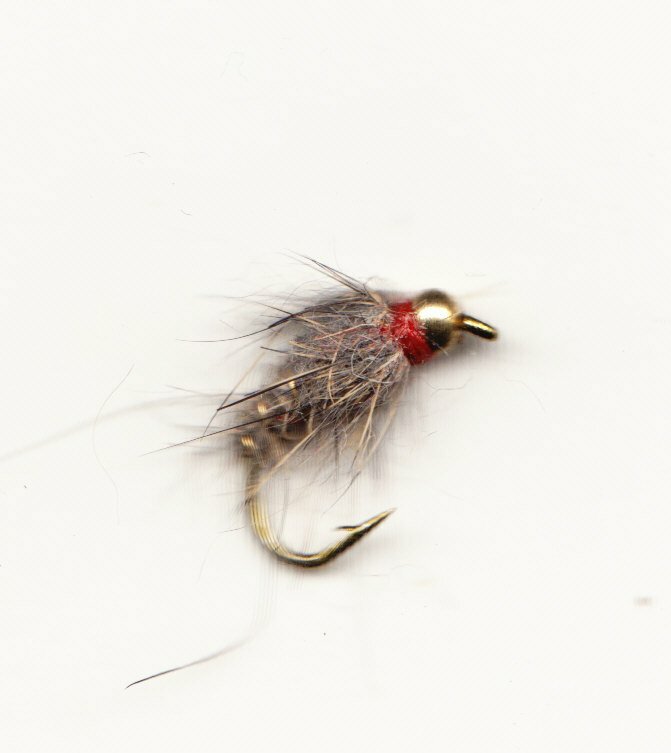 Try this in slower pools as well, one of the best floating flies I have ever used. Will tempt most fish in calm water, tied with extra CDC so it floats well, squeeze dry between a tissue when it gets soggy. 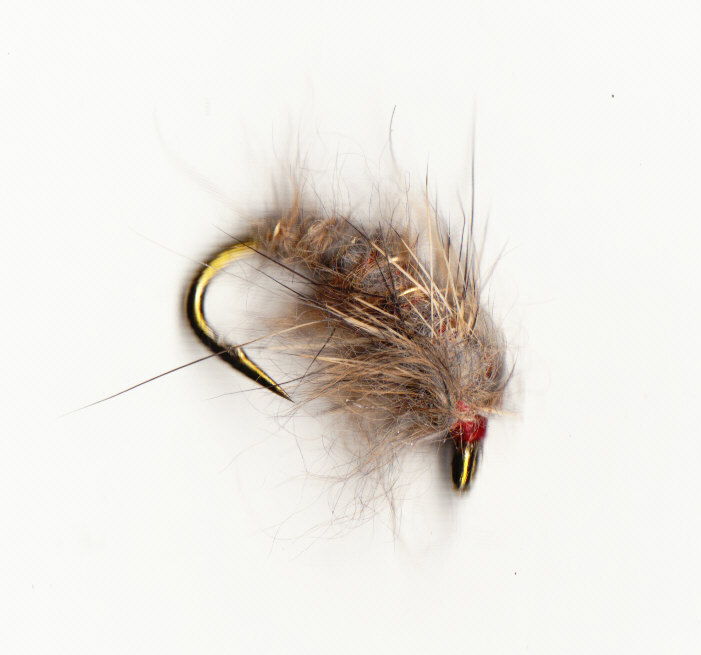 Another fly to tempt difficult fish, imitates a wide range of midges, smaller Stoneflies and Caddis. 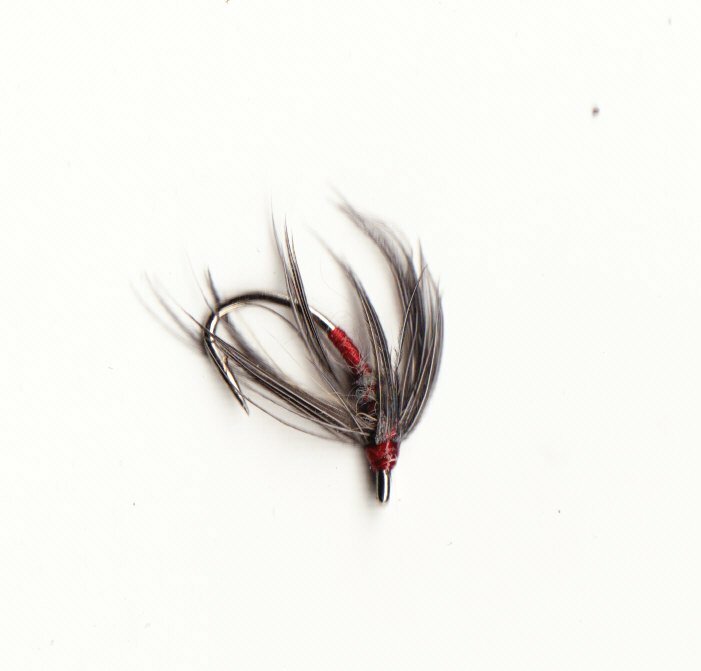 All the Yorkshire and Clyde Spiders will tempt Grayling, but these are some tyings with added colour that will tempt fish when standard patterns fail. 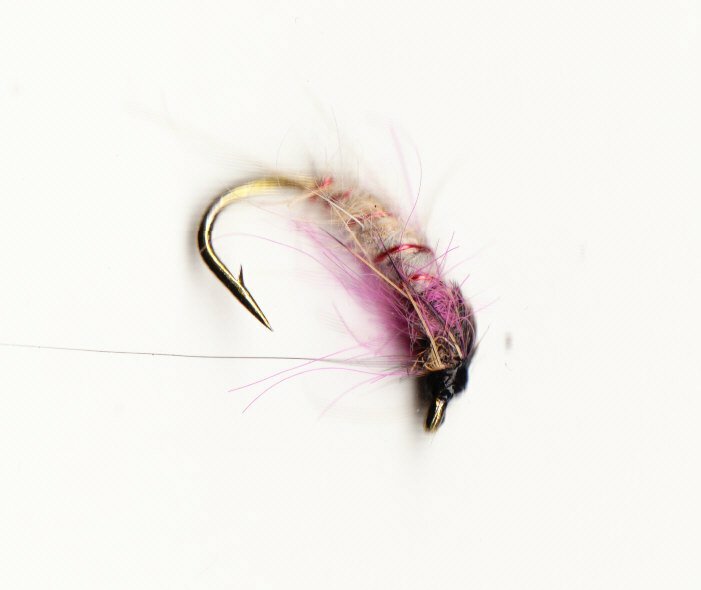 Trout as well as Grayling have a soft spot for pink, nothing like it in nature? Useful on the point to anchor the cast, the added weight slow down the drift of a two/three fly team of flies especially in faster water or in a blow. Key patterns to fish deeper with. All these patterns are useful point flies or can be fished in two/three fly Czech Nymphs teams. Remember that the Goldbead patterns contain lead as well and are heavier than standard leaded. 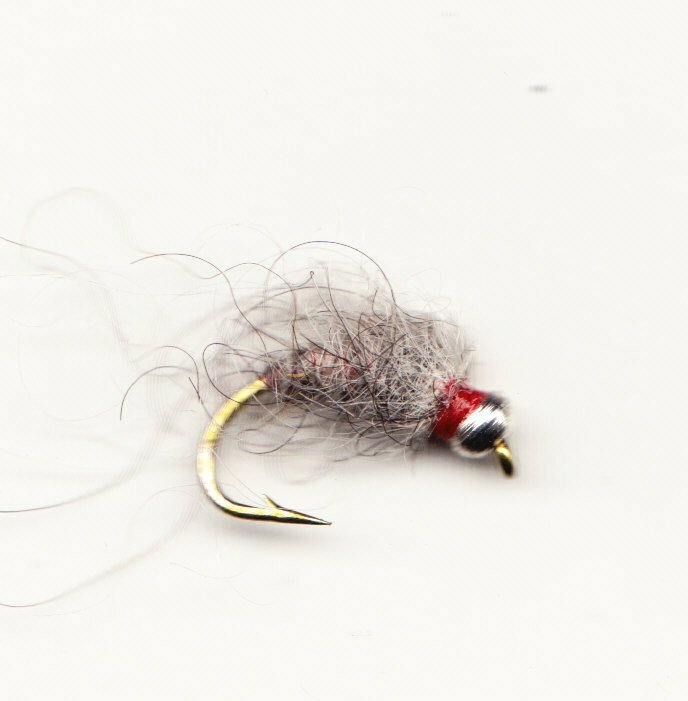 Tied with a small nylon loop at the tail end so you can tie on a tippet and fish an spider or weighted nymph. The larger sizes are better for heavier patterns, Gink and they will float high in the water. This rig is neater than the New Zealand team or Duo. Foam Strike Indicator. 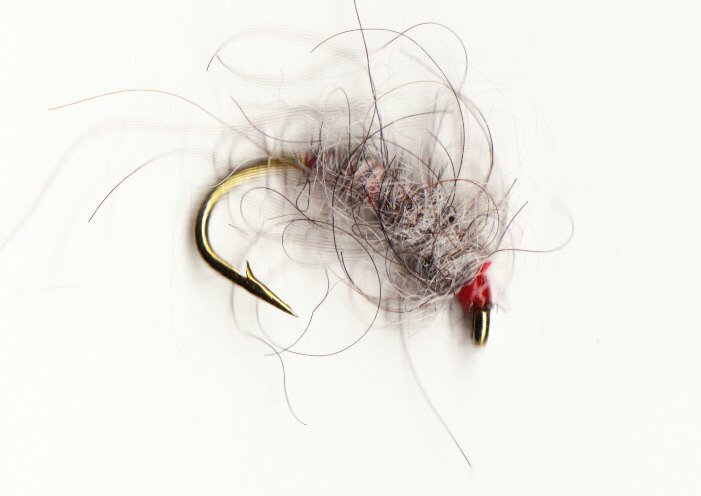 These are useful in fast water with normal fly tackle as well as short line Czech Nymph tactics. Loop to loop conections for easy use.